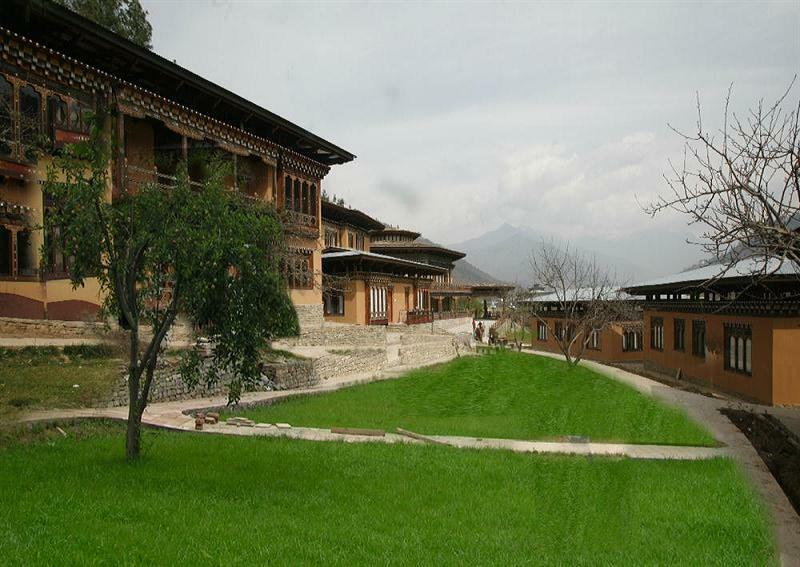 Tashi Namgay Resortrediscover the uniqueness of Bhutanese tradition Those who visit Bhutan via the beautiful valley of Paro would find it hard not to notice Tashi Namgay Resort. 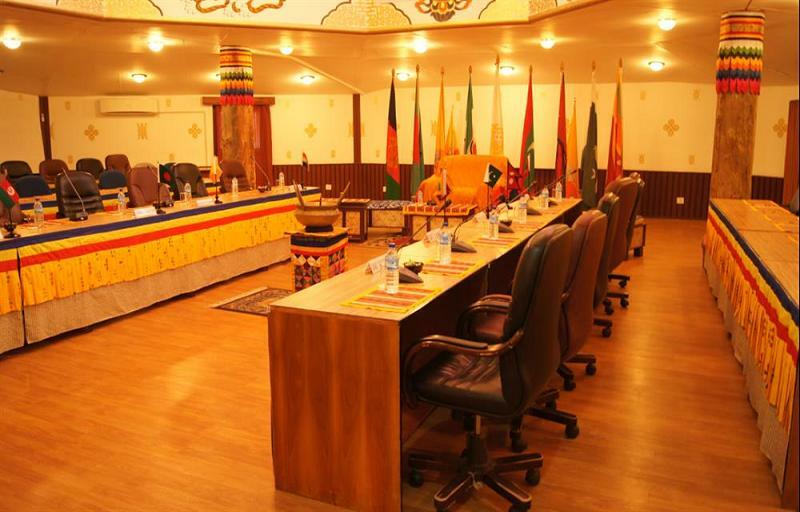 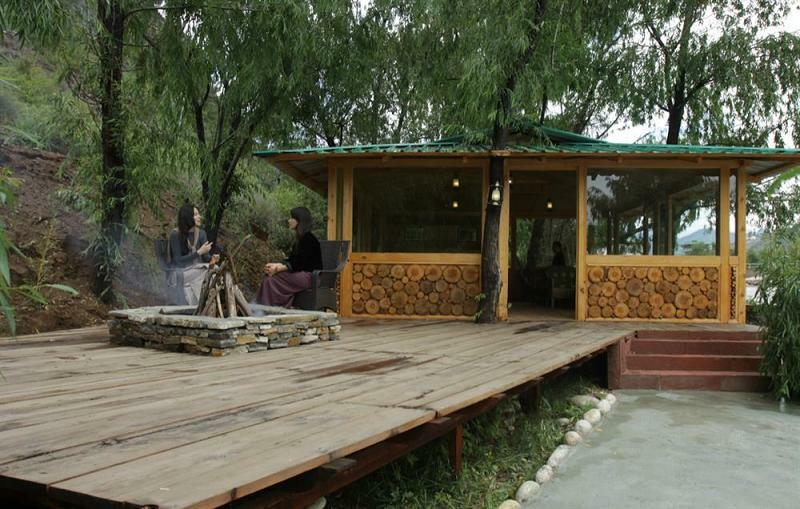 Located on a rocky hill overlooking the Drukair airport and the pa chu river below, the resort would be one of the first glimpses of Bhutan for visitors to our small and beautiful kingdom. 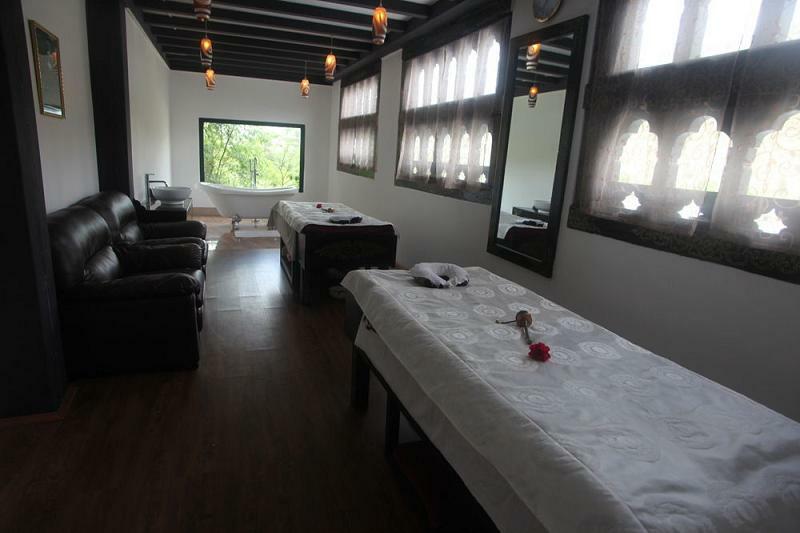 The resort is set amidst five acres of lush foliage and sprawling green lawns and has 39 spacious rooms housed in 15 cottages and bungalows. 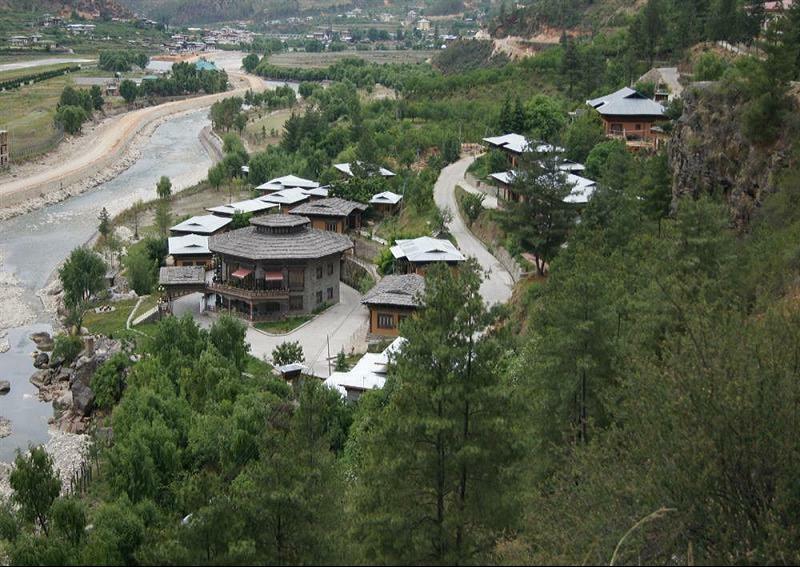 Located outside Paro town, it offers a calm and peaceful environment that merges traditional Bhutanese and modern architecture in its own unique style that incorporates its concern for the environment as seen through the use of solar lights, wooden shingle roofing and mud walls. 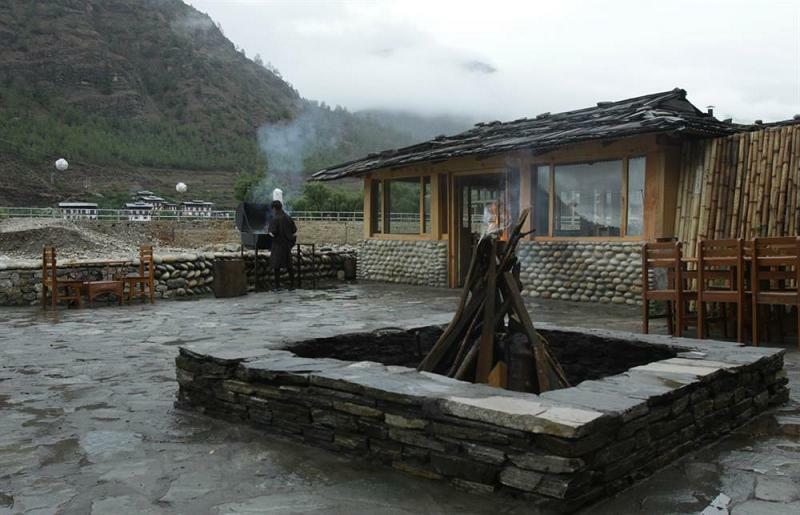 Tashi Namgyal resort is an ideal resort for vacationers looking for a calm and relaxing resort that offers an authentic Bhutanese ambiance along with all the comfort of a modern resort. 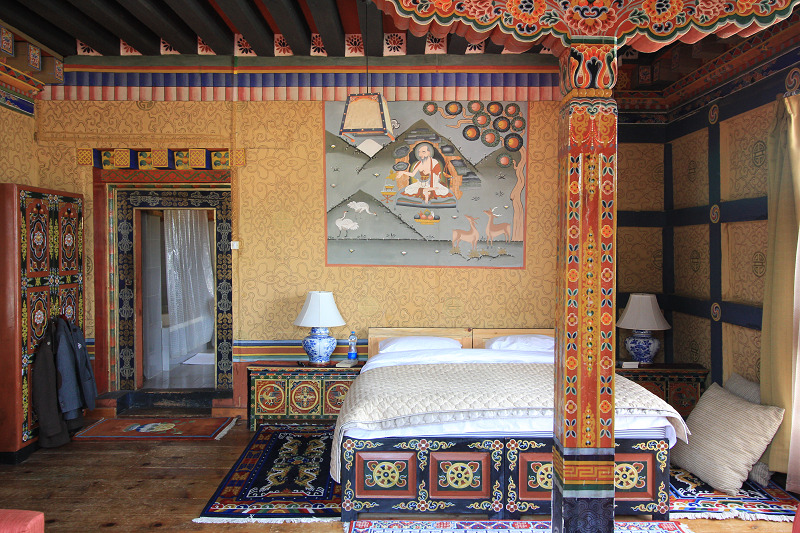 Tashi Namgay Resort features a total of 51 guest rooms, which includes 26 Deluxe rooms, 22 Deluxe Cottages, 2 Junior Suites and 1 Executive Suite.. Each guest room features elegant and contemporary décor and furnishings, allowing the ultimate in comfort and sophistication. 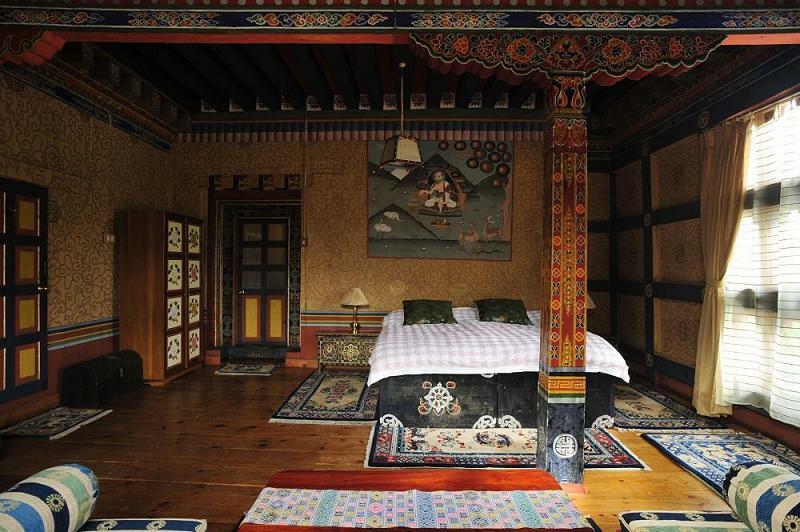 The Executive Suites offer a panoramic view of both the Paro Dzong and Ta Dzong (the National Museum). 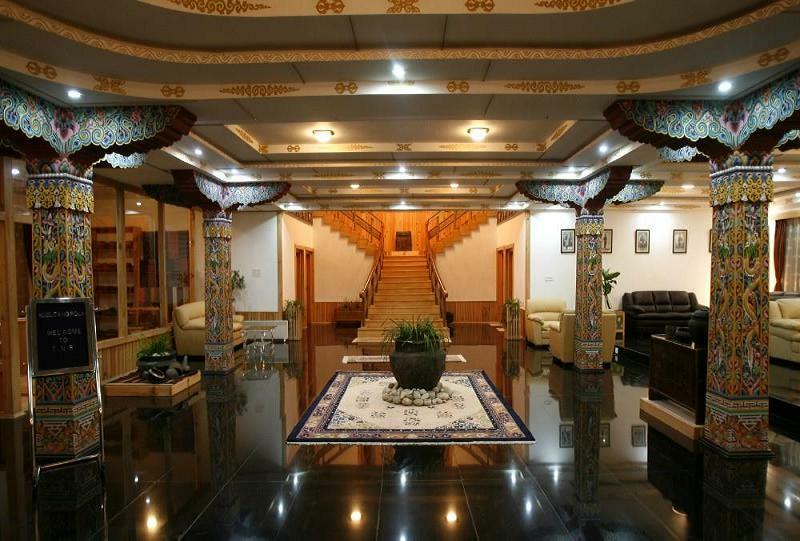 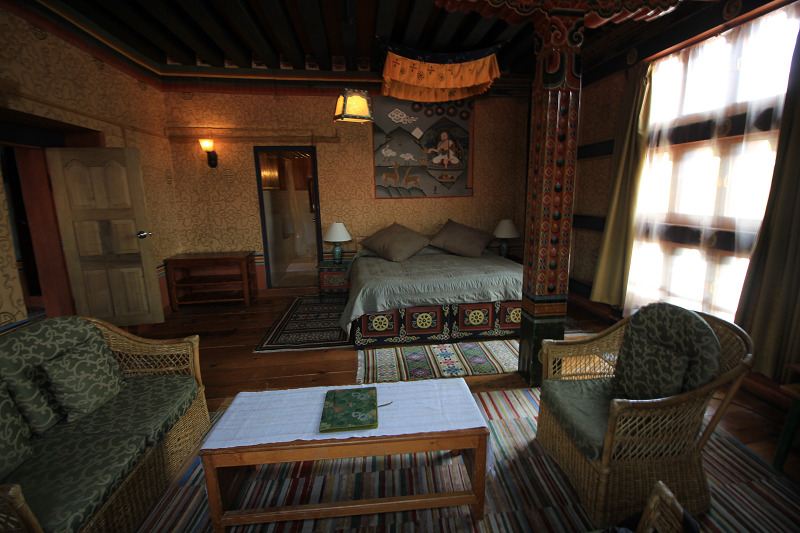 The suites are decorated in a warm and luxurious Bhutanese style. 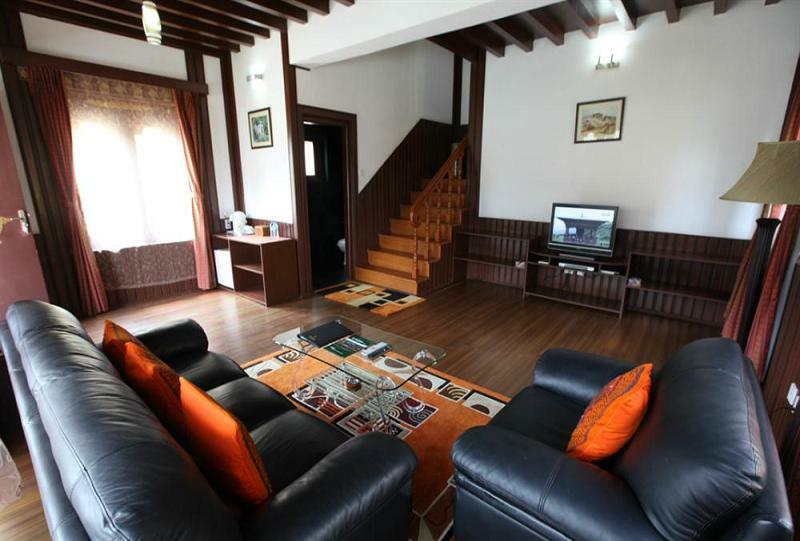 It comprises of one large and spacious living room, a home theater, a dining area, a guest toilet and a master bedroom with separate steam bath cabinet and shower in the toilet. 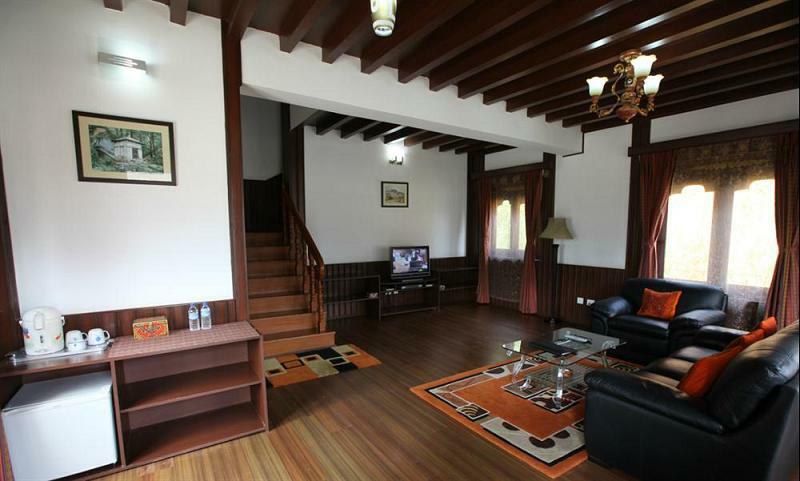 Sitting room: 360 square feet.